I have a 1997 Disco 1 automatic with EDC. I have a problem with the throttle, initially this was very intermittent (say 1 week in every 6 months or so), but is now more or less always present. Basically on partial throttle openings, at about approx 1600 rpm, the check engine light comes on, and the engine cuts back to tickover, a slight movement of the throttle in either direction results in the engine picking up again and the check engine light goes out. 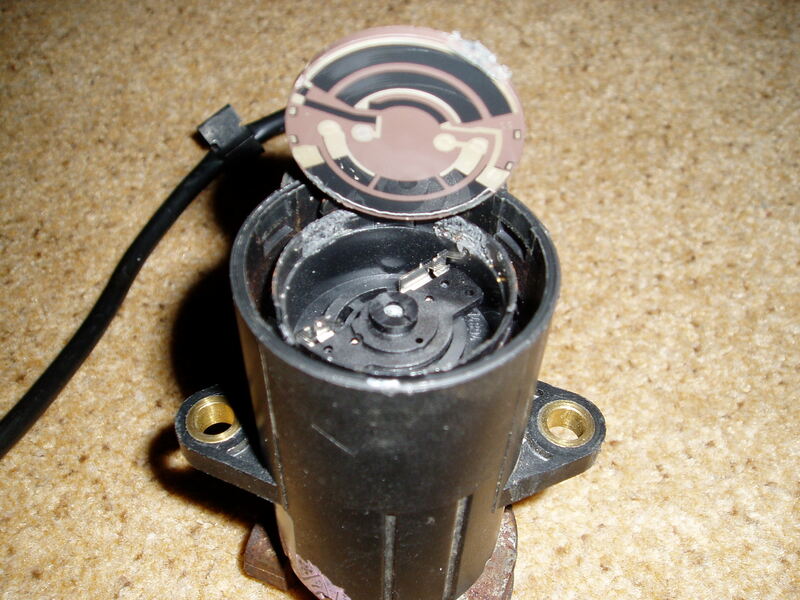 The car is high mileage (160k), and after trawling the net for quiet a while I came to the conclusion that this was probably Throttle Position Sensor and I eventually bought a new one direct from Bosch (£320 instead of the £600 odd that LR wanted), but this has not cured the problem. I have had the error codes read from the ECU and it reported that the TPS was either malfunctioning or signal out of range, but as it's a new TPS I assume I'm left with either a wiring fault, a problem with something that isn't being reported in the error codes, or the ECU itself is malfunctioning. Does anybody have any suggestions as to how I can figure out what is cause of the problem, I'm reluctant to just buy a new ECU (list over £1000) just to see if this cures it, I haven't been able to buy a used ECU for a reasonable price, and I have done a quick visual check of the wiring but can't see anything obvious, and the fact that the throttle works OK for the majority of its range seems to suggest to me that the wiring may be OK?. I'd be interested to see any responses to this as I have exactly the same thing happening with mine. I've only owned my disco for 2 months and it's happened about 5-10 times and only really in the last few weeks. I haven't seen it as a major problem as a slight movement of my foot and it's fine but it did have me slightly worried. My initial thought was the tps, my logic was the fact that it seems to happen when the throttle is in the position where it is the most often, so maybe it gets worn at that position?? I've not had chance to look at it yet and I can't make it happen, it just happens very occasionally. Most of the time when it has happened has been when I have been in stop start situations just going slowly. Thanks though for the info that the TPS didn't fix it - as that saves me splashing out £320 to find it still does it! My 1996 EDC Auto also did this and is the reason why I took all the EDC kit off my engine and replaced it with an old fashioned non EDC fuel pump from a manual 300TDI Discovery (The second hand pump plus a new cam belt and throttle cable was about £300.) I then sold the EDC parts and recooped most of my out lay. I did the work my self and it was no worse than changing the cambelt just required undoing a few more bolts. £320 for a TPS? J***s T***yF*****g C****t I'd be very surprised if you couldn't find an equivalent TPS that would fit with a little fiddling for about 1/10th of that money. They're only a potentiometer at the end of the day. Before buying stuff like that, see if you can scrounge a known working one from a friend or fellow club member to prove the problem. I'm tempted! Was there any draw backs at all with changing to the non EDC. Anything not quite right at all? Was the ECU OK with it? What happened to the EDC control unit? Does the cruise control still work? Did you need any brackets for the throttle cable? Does the kickdown still work? Any problems with immobiliser / alarm system? When you did have the problem as we experience did you look into it at all? Did you find anything out or narrow it down? The only things I can think of were I had to drill a hole for the throttle cable to pass through the bulkhead and make up a suitable pin to connect the cable to the throttle pedal. The pump I got came with the throttle cable bracket on it. The ECU and all the other electronic bits I just removed (although a couple of the engine sensors are still there to fill the wholes they live in) Plus I have so far left the looms in place because I can't be bothered with ripping the dash out at the moment. The kickdown bracket needed raising about an inch to clear the top of the injection pump. I think the cruise should still work as it is independant to the engine ECU. I had already ditched mine as the pump died and to be honest I hardly ever used it so I can't say for sure. 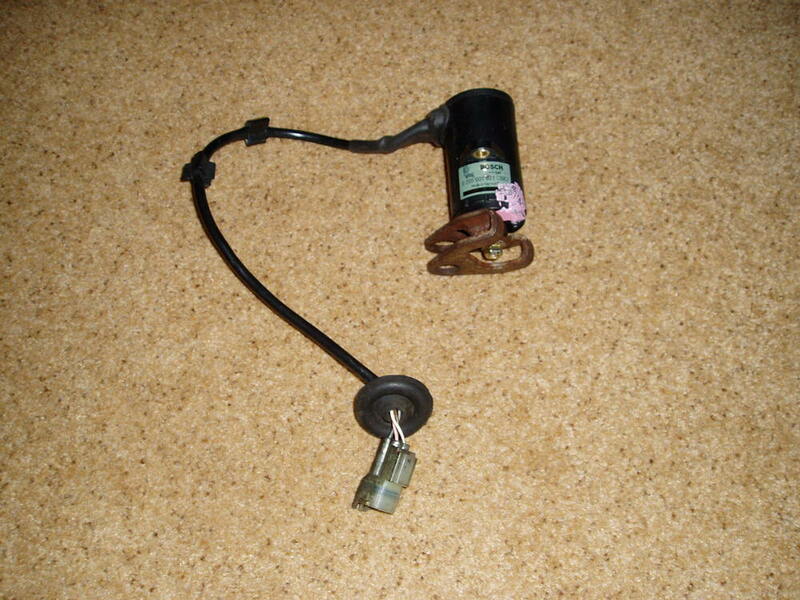 I ran a new ignition controlled feed to the stop solenoid when I fitted the new pump and had already bypassed the starter inhibit parts of the alarm so did not find the immobiliser a problem (an after market immobiliser is going on this weekend.) . I had the problem about 8-9 months ago and assumed it was the throttle position sensor on the pedal but having removed it and cleeaned the connections and discovered it was a sealed unit I decided (being an electronics engineer) to ditch the electronics and go clock work. I probably drove the truck for about 5 months and just learnt to drive round the issue. I think I found some where selling throttle pots for about £95 + vat but can't remember. Believe me I tried, I even got a second hand one for about £70, but that was worse than mine. I took the 2nd hand one apart and its a carbon track pot, so it couldn't be replaced by buying a new pot from an electrical supplier. I thought it was likely to be the problem, and after giving up getting a low mileage 2nd hand one (esp after the first one was worse) I though 1/2 the L/R price was the best I could do. Aren't electronics a pain in a car. I had exactly the same thought about the most used position, I bought a 2nd hand one which proved to be worse than mine(and convinced me that the problem was the TPS! ), I took that apart and on the carbon tracks there was wear just in approx the position it would be at the slight throttle opening. I agree with the later comment of trying to find spares and trying them on the car before shelling out, but I couldn't find anybody to get one from (maybe this web site will help). The only other thing that occured to me as I drove home was that I ended up changing the outlet unions from the EDC pump onto the non-EDC pump as they were a different length which ment that the injector pipes would not line up. This was no big deal but there are some small internal valve components in the unions which can fall out. Pete I noticed you had the ECU etc for sale a few months back, don't suppose you still have it do you? I've also had the EDC system removed from my disco, the engine was better afterwards but still not fixed, as mine was, and still is blessed with multipule faults! Anyway in answer to your question, my cruise control doesn't work post EDC. The immobiliser works in conjuction with the EDC unit on the injector pump to prevent fuel reaching the engine when activatied, so removing the EDC injector pump and fitting a manual one kind of takes that out of the equation. Also if you have air conditioning this won't work either, the ac control system is linked into the EDC circuit, so that when you switch the ac on, increaseing the load on the engine, the EDC knows to speed up the engines idle speed. This can be bypassed, a wire going into the EDC ECU (i think) has to be cut and joined to earth, the bypasses the EDC system and allows the ac circuit to operate as it would in a non EDC disco. As Raceface120 mentioned earlier the EDC injector pipes won't fit the standard injector pump outlets, and you can swap the EDC outlets to enable them to fit, or you can get the non EDC injector pipes for not too much cost and these will fit the injector pump and injectors no problem. Well, mine hadn't done it again since, until this morning - then I seemed to be able to do it whenever I wanted by holding the revs at either 1100rpm or 1500rpm. It could be that it's worse with damp cold weather, I've since been out in the disco after it had dried up and warmed up a bit, and I couldn't make it do it at all. So I'm thinking of spraying some wd40 round any relevant connectors - any suitable suggestions for connectors which would be affected? I sprayed the connector for the Throttle Position Sensor, which is located in the engine bay, below and to the right of the brake servo (facing forward), it's a small loom with 4 thin wires, after the connector it runs towards the back of the engine and into the main loom. According to my Haynes manual, the wires in the loom should have some different colours and there should be another connector somewhere, but my loom has the same colour wires so maybe they did away with extra connector, if you find it let me know and I'll check mine out. The only other connector I know of is the main ECU connector, that's pretty easy to disconnect, just pull down the clip, lower the end nearest you and pull the connector down and forwards. I checked continuity in the loom between the TPS connector end and the ECU connector end and it checked out ok, however I only checked each wire in isolation, so I'm also going to check between each of the wires, in case there is any shorting between them. I think I have managed to source a new ECU, and hopefully will try that in the next week, I'll post the results. I'm really down to swapping the ECU just to either eliminate (expensively!) it from the investigation or cure the problem (maybe). Does anybody know if I can just plug in the new ECU, or do I have do/have done anything to it i.e. anything for the alarm/immobiliser etc?, calibrate for the TPS etc? Could be worth me trying the TPS, just noticed your location - I live just off ash bank! I had a call from Shaun from Penkridge regarding having a look my old Throttle position Sensor to see if a friend might be able rebuild one. So for anybody interested I have uploaded a couple of pictures (not sure how this is suppose to work), see if you think its worth £600 quid from Land Rover!. You can see the wear on the carbon tracks near the bottom of the throttle range, the rotating metal sweeper seems to scratch the surface over time. This is the one that made the problem worse than my existing TPS, but remember a brand new one still hasn't stopped the problem!. So how bad is your problem with the brand new one - how often does it occur? I've not had the problem since the other day when it was wet in the morning, and thinking back I think it's always wet when it occurs, when it does occur I can make it do it, but normally I can't make it do it. Thanks for the offer of trying the TPS but I'll probably leave it for a little while - partly due to time and partly due to the infrequentness of it at the moment. I'll see if I can determine if it is always wet when it happens etc. You'll probably see me going up and down ashbank in either a green discovery or a black series land rover! I will post what happens when I fit the replacement ECU, if you find anything yourself please let me know. I tried the new ECU, and as predicted the engine would not start. I visited a local Land Rover specilaist, they want £50 to put it on the computer and get it working with car, I also visited a local Bosch fuel injection specialist, he has no specific Lnad Rover knowledge and would try to enable the new ECU but could not quote on it. Still using my original ECU I removed the ECU plug and cleaned all the connections in it, the problem started to happen at about 2200 rpm (usually at between 1500-2000rpm?). I have metered the voltage across pin 33 and 37 (white&green and white&pink) of the ecu (I removed the original ecu, and took the connector apart, this let me reconnect the plug and still get to the terminals with the engine running, throttle closed was 4.52 volts, full throttle 2.55v, and the problem occurs between 4.13-4.15v, without any dead spot. With the ignition turned on but the engine not running I thought I could hear a quiet click like a relay operating at the voltage where the problem was occurring, but I could not get past all the wiring and the ecu to locate exactly where it was coming from. I removed and cleaned all the connection to all the relays in the driver footwell right side panel (below the ecu), I also removed the multipoint earth connector, clean it and reconnected it. After reconnecting everything the problem has now gone away. I did not seem anything that was an obvious problem, and in the past after investigating the TPS, wiring, and ECU etc, the problem has also gone away for a few days but has always come back again, so I'm not convinced about this, but I will post an update. Sounds like a dodgy connection somewhere then - maybe the ground - let me know how it goes. Might be worth a post somewhere else on the forum (and maybe others) to see if anyone locally has a Rovacom (or similar). The bit you need to 'talk' to is the alarm ECU (10AS IIRC) it queries the EDC for a code which is then programmed into the alarm ECU. While you are at it you can get a cheap s/h keyfob off Ebay programmed in as well. I agree but the dodgy connection could still be in the ECU. The £50 was LandRanger, the bosch specialist was in Blake Street, Burslem, he seems a good chap but has no specialist Land Rover knowledge, if (or when most likely!) the problem returns, unless I can find someone with L/R knowledge I'll go to Blake Street, I would say he is more likely to be able to find a problem. But of course until it returns there is no use having the new ECU fitted cause I won't know its fixed it.